We love to share a glimpse into our nursery with you. A bit personal, we hope you like it. 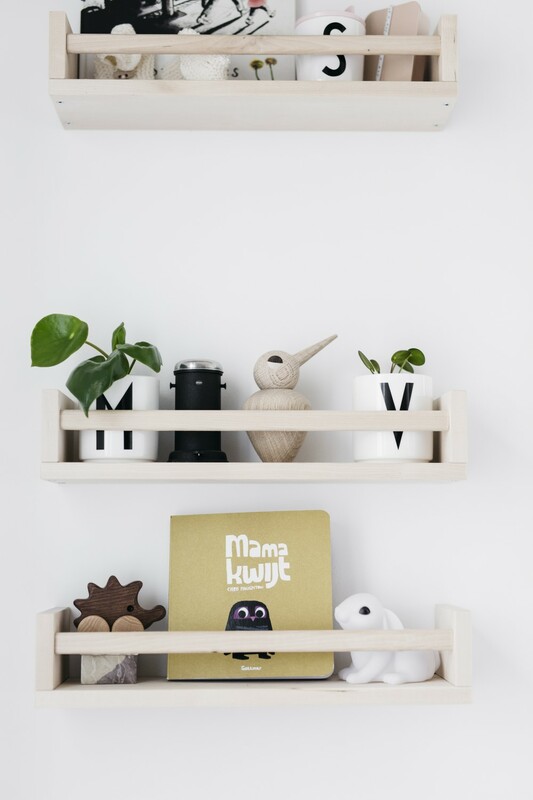 I am really happy the way the nursery turned out and we are slowly adding some little design treasures to Sjors her room, like the Muuto dots, Design Letters cups, the Architectmade bird and I am definitely in love with the Danish kids brand Sebra. 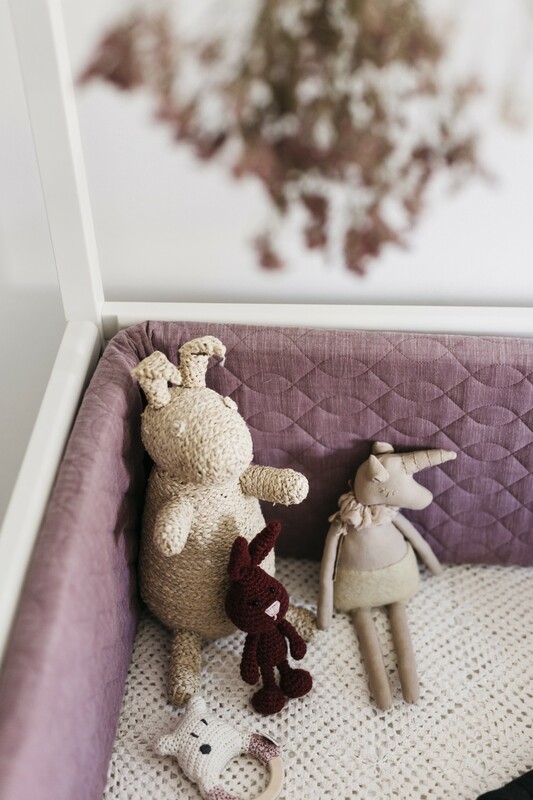 With the new Sebra baby bumper in her bed, it became such a warm and cozy environment. The cloud mobile is a handmade piece from The Butter Flying studio, don’t you think it is just perfect? The embroidery pieces are made by Mark his grandma ( left piece ) and by my mother ( right piece ) in typical Dutch ‘Jip en Janneke’ scene and honestly the most precious pieces in her room..
Now.. after a few weeks of rest in our renovation we are ready to finish the kitchen…will keep you updated.